Ok, I have searched here but havnt come up with an answer, Can two or more drones be flying at the same time in the same area without interfering with the other drone. Meaning all are Dji Drones right ?.......i fly with my Grandson and my Greatgrandsom and my Brother in law,...They dont have Dji drones but we encounter no problems i'm the only one with a Dji Drone. i was just wondering cause a neighbor was flying his Mavic and i was thinking about flying too, but neither one of us knew if they would interfering with each other, i did think it would make a good photo of his Mavic in the air.. Yes a Air to air picture or a video like i take of them flying out their....is really neat O......i stand next to one of them and let them have a look at my screen so then can stay in the video cameras view and i tell them OK......put on a show BUT don't hit me !....its a Blast...to see them spin around and go UP and down then side to side 150 feet UP in the air. SeattleDrone......IF you attempt the multiple drone flights.....I was just thinking that its good to be close by the other drone flyer and communicate to each other what your intentions are.....and keeping the flight speeds down quite slow So no body has a mid air and causes both Drones to fall slowly to earth below ! I guy I met on here and i flew out P4s, his may have been an advanced. No issues, not sure we worried about it either. Assumed that you are connecting to your drone with a unique frequency. You may encounter interference ... but it will be from the controllers being too close to each other. If you do, just move 10 ft or so apart. We have had 15 plus drones mostly DJI flying at once no problems. North Texas Drone Group tries to meet monthly to fly together. I frequently do it with my business partner, we both have a P4, no problem so far. Fly safe. 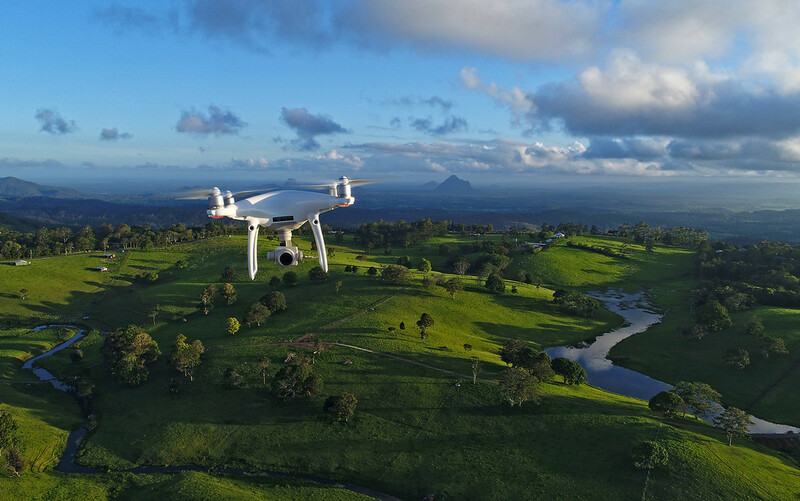 There is no reason why multiple DJI cannot fly together without problem. Even the humble Standard has no problem flying alongside other Standards as well as Adv and Pro. The signals are coded between the AC and RC ... its why you LINK the two. Think of it like your WiFi and PC / Mac .... you can have a hundred others there but still you only get the data flow specific to your LINK. What happens when the airwaves are swamped by signals ? Each data transfer has a code key and the receiving part is looking for that code key ... it ignores all data without that specific key. If the data set is corrupted - it drops it and waits that thousandth of a second for the next string to transmit. This is why you sometimes suffer video breakup / signal loss for a split second or so ... data corruption and it drops it to receive the next. With regular RC ... the signal hops around frequency steps ... some radios use 2 steps (old Spektrum) others use 16 .. or more steps ... Hedi Lamar - the actress was the originator of the idea ! How DJI use the frequency is open to debate as they do not advertise their format other than give names like Lightbridge etc. But it must use some form of frequency hopping along with Code Keys. In our club - we have had over 6 DJI P3's flying together in same location with pilots standing within just a couple of feet each other ... never had any problems. You do have to be extremely careful , that you do not mix up what drone you think you are flying. We have seen a few drones crashes at the beach , because of mix up in the air, it happens more than you think and if you loose focus and dont even realize your not watching the right drone, can be alarming at best. Not quad-copters per se, but yeah, you get the idea. Jump to one minute. That's when the fun begins. I have flown with three other DJI quads and a Yuneec quad, and none of us had any issues.